Taken from a new HP server during upgrade. HP Part Number 752368-561. HP 48GB Kit with 6 x 8GB matched sticks. This fits many servers from Dell, IBM and HP. HP Part No50020-071. Pictures show the item and this is what you will receive. DL360 DL380 DL385 DL560. DL370 DL380 e and p DL385 DL560 DL580 DL585 DL980. DL1000 DL160 DL165 DL160 SE DL180 DL320 DL360 e and p. HP Proliant G6 G7. Compatible with the following HP Proliant G6 G7 Servers and Workstations. DDR3 1333MHz. PC3-10600R DDR3 1333Mz CL9 ECC Reg. Spare Part 591182-001 Assembly 460838-003 Version 3.04. DELL Servers and Workstations. Will not work with T3500. IBM System x3630 M3 7377xxx. IBM System x3620 M3 7376xxx. We are able to source hard to find parts for Legacy systems through to the latest new in box parts for the latest generations of servers & storage systems. Any hard drives (if included) have been data wiped and work. Samsung M393B1K70CHD-CF8 RAM 8GB PC3-8500R DDR3-1066 2RX4 ECC. Condition is new and sealed. Dispatched with Royal Mail 1st Class Large Letter. DDR3L SDRAM - RDIMM 240-pin. 2x8GB (16GB). DELL SNPRKR5JC/8G. Upgrade Type. 1600 MHz (PC3-12800). Data Integrity Check. 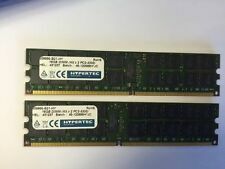 Selling spare ecc memory modules. Genuine HP spares so will show with HP Smart memory. Each kit is 2 x 8GB modules. Is NOT compatible with the Gen 8 HP Microservers (Unfortunately - they need ECC Unregistered) Shipped recorded delivery or cash on collection. Have both Micron and Samsung so any preference then please state when ordering. Standard mainland shipping Only. When receiving the goods your signature will be required. Part Number HYR31351248GBOE. Manufacturer's Part Number HYR31351248GBOE. 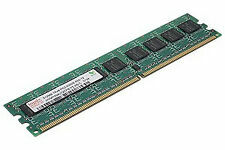 Hyperam DDR3 8 GB DIMM 240-pin. Data Integrity Check ECC. Hyperam - DDR3 - 8 GB - DIMM 240-pin. PC & Server Power. Supplied New as shown. Manufacturer: Nanya. Data Transfer Rate: 1333Mhz. Capacity: 8GB. HP Part Number: HP 500205-071. Bus Type: PC-10600. Pins: 240 Pin. 16GB 2x8GB 2Rx4 PC3L-10600R DDR3 Memory. Condition is Used. Dispatched with Royal Mail 1st Class Large Letter. 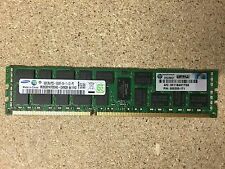 Nanya/HP 8GB 1333MHZ PC3-10600R ECC DDR3 DIMM 500205-171 Server RAM Condition is Used. Dispatched with Royal Mail 1st Class (1 to 2 working days). 32GB (4x8GB) PC3-10600R 2Rx4 DDR3 Registered Server Memory NT8GC72B4NB1NJ-CG. 32gb total - 4x8gb modules. Heatsinked, tested, pulled and bagged. Capacity: 8GB (2x4GB). Type: DDR3 240-PIN DIMM. Manufacturer: Samsung. International Orders. 288-pin JEDEC-compliant DIMM, 133.35 mm wide by 31.25 mm high. Supports ECC error correction and detection. Write CRC is supported at all speed grades. DBI (Data Bus Inversion) is supported(x8 only). Component for:PC/server. Tested and in perfect working order, pulled from an enterprise system. Manufacturer: Elpida. Data Transfer Rate: 1333Mhz. Capacity: 8GB. HP Part Number: 500205-071. Bus Type: PC-10600. Pins: 240 Pin. F or DELL R710 Poweredge Servers. R410: R415: R510: R515: R610: R710: R715: R810: R815: R910. PC3 -10600R ECC DDR3-1333MHz. DELL Poweredge Servers. DDR3 1333MHz. DELL Part Number 2HF92, X3R5M, SNPX3R5MC/8G, A3002265. Suitable for HP prolliant server withxeon e5500 x5500 x5600 e5600 e5-2400 e5-2600 v1 v2 type server. We will resolve the problem directly with you. 16x8GB PC3-12800R 2Rx4 ECC REG Dimms. DELL Part Number R6JR0. 128GB for DELL Poweredge Servers. Founded in 1981, we are expert suppliers of new and refurbished HP IBM and DELL server hardware. Module Capacity 8GB. Made with love by. We Also Record Serial Numbers. PC3-10600R DDR3 1333Mz ECC Reg. DDR3 1333MHz. HP Servers and Workstations. IBM System x iDataPlex dx360 M2. IBM System x3650 M3 7945xxx. IBM System x iDataPlex dx360 M3. IBM System x3400 M2 7836, 7837xxx. PC3 -12800R 2Rx4 ECC REG. Compatible with HP, DELL, IBM, Apple and Lenovo Servers and Workstations. Founded in 1981, we are expert suppliers of new and refurbished HP IBM and DELL server hardware. 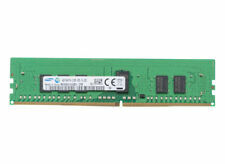 PC3L -10600R ECC DDR3-1333MHz. DDR3 1333MHz. HP Proliant G6 G7 Gen8 Servers and Z series Workstations. HP 605313-071. Founded in 1981, we are expert suppliers of new and refurbished HP IBM and DELL server hardware. For HP IBM DELL Supermicro and Lenovo Servers and Workstations. Module Capacity 8GB. Founded in 1981, we are expert suppliers of new and refurbished HP IBM and DELL server hardware. DDR3 1866MHz. PC3-14900R ECC DDR3-1866MHz. Founded in 1981, we are expert suppliers of new and refurbished HP IBM and DELL server hardware. 48 GB (6x8GB Dimms). DDR3 1333MHz. DELL Poweredge Servers. DELL Precision Workstations. Founded in 1981, we are expert suppliers of new and refurbished HP IBM and DELL server hardware. Will not work in R310. SNPXR5MC/8G 99L0305 P994921. R410: R415: R510: R515: R610: R710: R715: R810: R815: R910. For DELL PowerEdge servers and Precision workstations. DELL PART NUMBER. Compatible with DELL Servers and Workstations (see below).